Want to build your own completely flexible and customisable, yet small and energy efficient home Media System? This is not a simple media server or NAS (Network Attached Storage), although it does that too. It is everything your run-of-the mill Linux server can do (routing? firewall? NAT? VPN? No problem!) plus a built-in Arduino! I’ve recently completed and uploaded to GitHub the complete code for this project along with a few Linux scripts. This has freed up some of my time so that I can write part 2 of this project (part 1 can be found here). Welcome back! (Note pictured. You will need HDMI cable, keyboard and monitor for initial installation). Parts needed to build this project are pictured above (part numbers needed for the electronics are listed below). 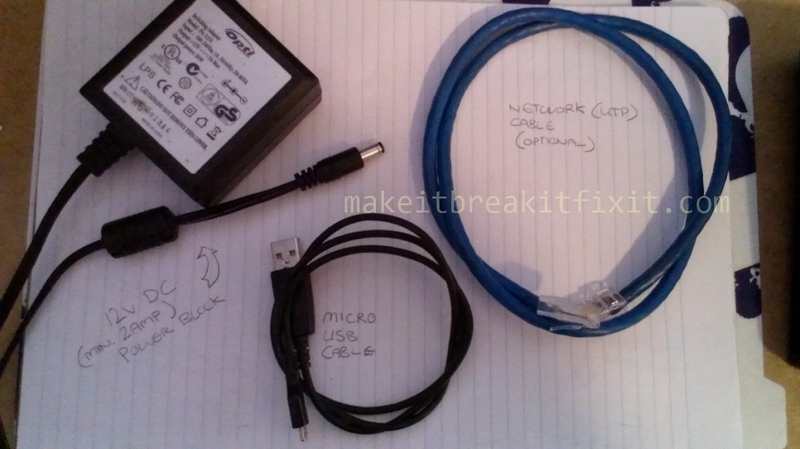 The only cable which you will need to build yourself at this point is the SATA Power Cable. This requires 12v, 5v and Ground wires. [Note: If you are using a 2.5″ SATA disk (ie. the disks used in laptops) you only need a 5V and Ground]. Just grab yourself any spare SATA-to-Molex power cable you have lying around (these usually come with motherboards and sometimes disk or CD/DVD drives. Otherwise, they are cheap to buy from any computer store or online) and cut off the Molex end. You will then be left with the SATA plug with four wires coming out of it, as below. If your cable comes with a fifth wire (usually grey or orange coloured) you can cut this off, we don’t need to use it. Wire up the cable as you see in the diagram above. If you do not have a connector for the 5V plug you can pull 5V from the header pin circled in red and use the same ground as you are using for the 12V. 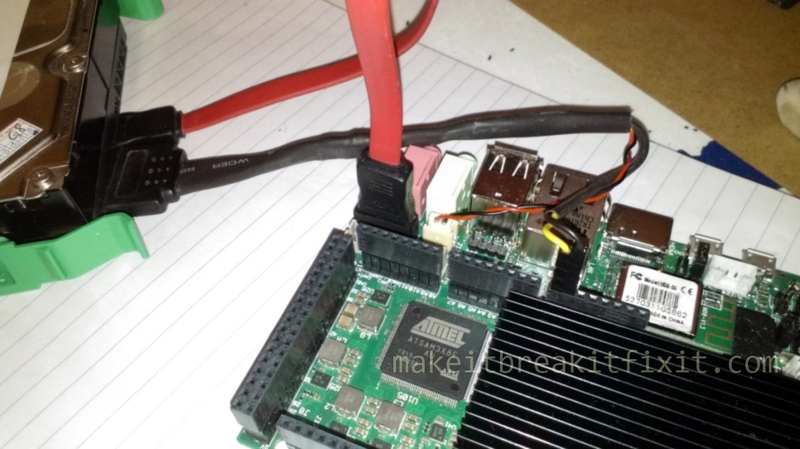 [TIP: The pins on the UDOO should be labelled underneath the board] Once completed it is as simple as plugging in the other pieces. Once you have the pieces together, you should have something that looks similar to below. This is the hardest part of putting the hardware together. 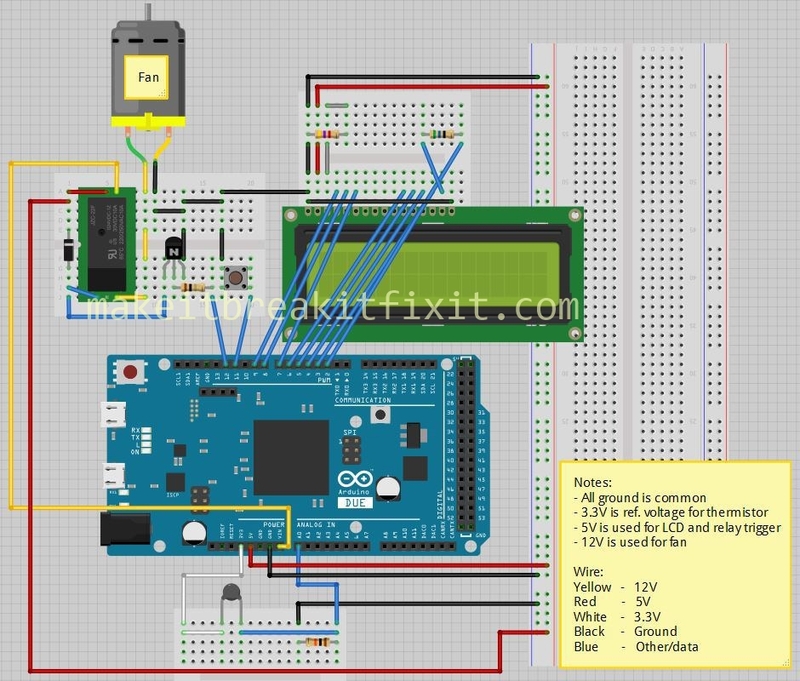 The Arduino Due used in the Fritzing diagram is the same as the Arduino built in to the UDOO, right down to the pins and their locations. 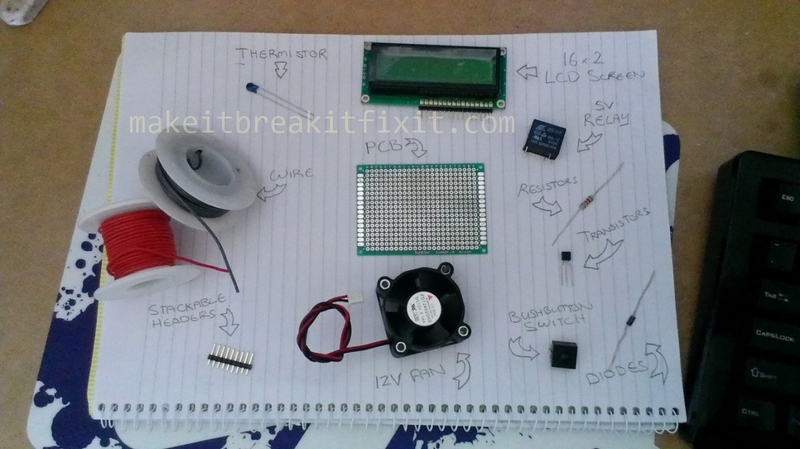 I have used Fritzing to bring you the diagram below. Download for free. Download the Fritzing (.fzz) file from GitHub. This section assumes you have intermediate knowledge of Linux (well, you did compile your own kernel and get this far!). There are plenty of tutorials on how to install much of the above software so I will spare you from the boredom. I will, however, give details on the many ‘gotcha’s’ I encountered along with additional required configuration. While it is outside the scope of this post to give instructions on how to install the softwares, you will need to ensure that the softwares starts at boot and you have access to the PID file for the process so that we can alert the Arduino when a process starts and/or fails. There is some great information on using upstart to get your processes to start at boot. The configuration files usually allows you to also specify a PID file location. Below is an example of one of my upstart .conf files you could use as a template. I can then use a cron script to look for the PID. If the PID file is missing or the PID is not present in the process list, then I run another script to send a message to Arduino (more on this later). As I mentioned in PART 1 of this series, I will not go in to detail about the VPN/Proxy/Routing configuration I have as I have explained it in full details in a previous post, which you may want to check out if you are unable to get certain internet TV in your country (eg. Netflix in Australia). Thanks for the tips on how to created a media system using Linux and Arduino. This made things easier to understand!